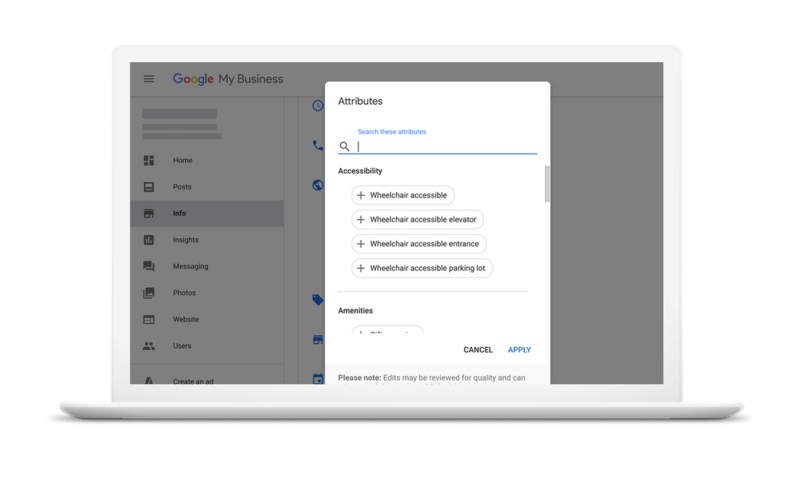 If you still have not claimed your business on Google you are missing out on so many great opportunities to communicate with leads & current clients. Not only can you update consumers about new products, sales or services (read about Google Posts here). You can also let them know about your hours, phone number, address, & whether you are veteran or female led or have special amenities. All of this information truly allows you to stand out from your competition, These amenities range from wheel chair friendly to offering free WiFi. Now you can also let people know you are LGBTQ friendly which can open up an entire client base that you may not have realized that you were missing out on. More importantly, you are letting people know that you are welcoming them regardless of their sexual orientation. The best part is it, this is an easy addition to you business listing. 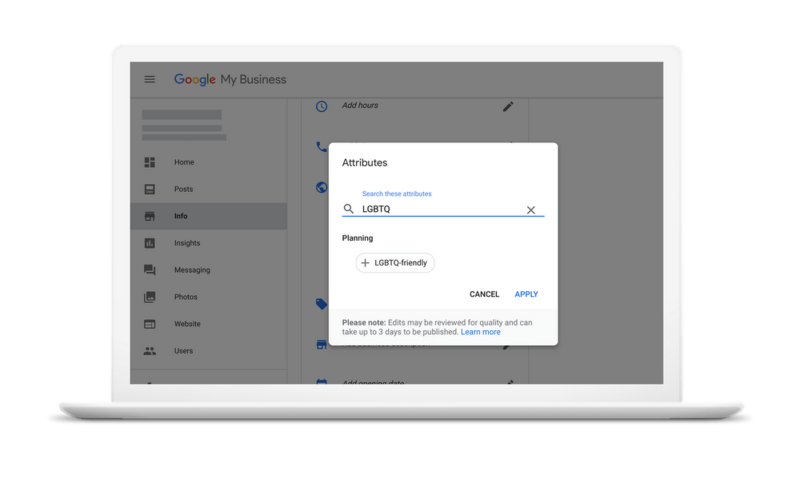 Simply log in & go to attributes, then search LGBTQ & add it to you listing. The only caveat is you must have a physical location in order to add this attribute. So if you deliver goods & services or manage your business from home this attribute is not available to you. If you are having a hard time claiming your business on Google or Bing or need someone to regularly manage your business listing or online reputation contact CIM Marketing Solutions today!